This is a new video series taking a look at some of the common swing changes that golfers make in during the off season. Making positive changes to your technique can be a great way to lower your scores, but in many cases, in trying to improve, golfers can create new or different problems. This video series takes a look at some of those common mistakes and helps you develop your swing in the correct way. 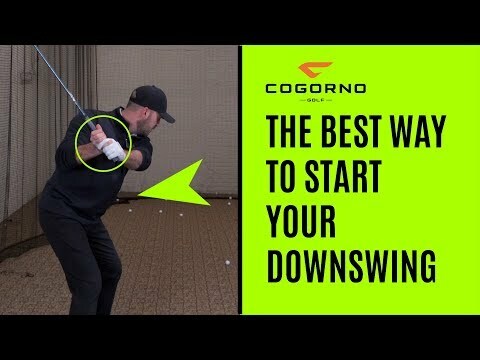 This first video shows you how to correctly begin your downswing. my part time job is working at a golf course where there are simulators. 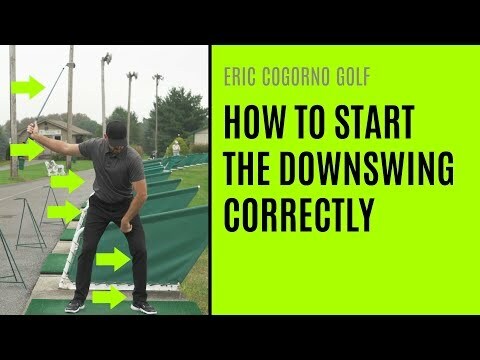 i'm definitely going to try to work on this drill, hopefully this fixes my downswing issue. Thank you so much! Thanks Chris for a very good and clear instruction. Currently working on this exact point as one of the steps to get club to come more from the inside. So this video really hit home. Keep them coming! Thanks for the video instruction! 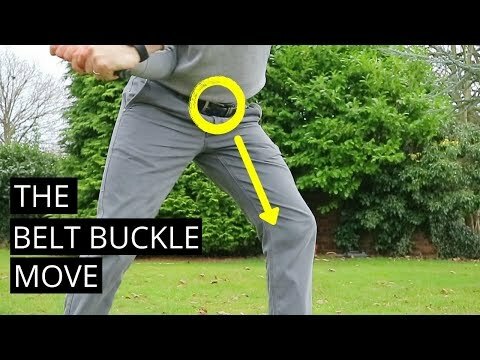 This video seems directly to an iron, do you plan on doing this video topic for a driver? Currently I am working on my early extention by initiating the downswing with my lower body and then adding more rotation with passive hands. Being in Canada, it has all been practicing the movement in front of a mirror. I am loking forward to actually hitting some balls in Phoenix in a week or so. working on keeping the club head outside my hands in the back swing and using more of the body to create power..
Great video Chris 👍- does this shift pressure to front part of left foot work for the driver & Woods to ?? Thanks Chris… trying to get pressure forward on left foot and forward shaft lean all while keeping head back… so tough for me! Hey Chris – my primary downswing fault is turning my shoulders before the hips. I cringe when I see videos of it. I can say that the bump sway of weight foward does relieve the issue. Something I need to work on. For some strange reason, my issue is more prevalent with irons when hitting off the tee box. Perhaps just in my head? Thanks for the great work! Great,simple and helpful drill. I have been trying to get the pelvis to get a little lower or “sit” like Tiger ,Rory and the boys. The his will probably help because I fight early extension in the impact area. Thanks. Really great video lesson Chris. 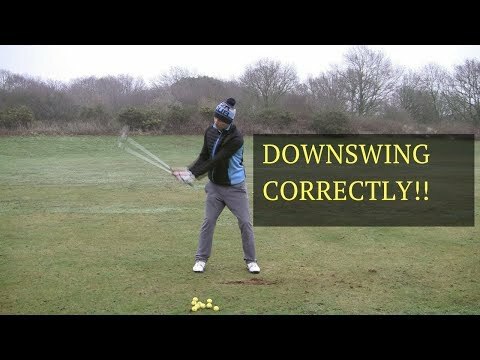 Do you have one for the driver and 3 wood on how to start the downswing…? Thanks again. I'm still trying to stop coming over the top and slicing. I can now do it on the practice range, 12/12 gentle draws today, but frustrated that I still slice on the course. Tension, raising the head early, trying to hit the cover off the ball – I think it's one or more of those, but I still can't make it happen on the course. I've always had an issue with early extension. Great video CHRIS I used to slide and flip so I am working on weight shift and rotation thro the shot. +18 in to out path. 10 hcap. Big hooks. Lean back on downswing. Exactly like you do in this vid. I just can’t make my body turn through it. Very frustrating. Very informative, well explained and well executed. Thank you much great video! Must be psychic as my coach had me doing the same motion, leaning into the left side ahead of the downswing. It's amazing how such a simple thought can make for more consistent contact. Looking forward to the next one! Hello Chris.. this is great. For the life of me I couldn't fix my trail shoulder coming over to start the downswing. I realized after watching Alistairs lastest video on side bend and extending in the backswing that I wasn't extending enough in the backswing. I was also too steep in the transition. Instead of coiling up in an upwards spiral like fashion I was rotating too much around the spine and not extending. Then I put this drill along with that one to help me get a feel for shifting pressure so I don't bottom out too soon. What a difference. my swing now falls into the inside out with ease with my elbow right at the hip. Unfortunately I'm in NY so the net in the basement will have to do for a while. Thanks for all the great lessons, you guys at the Forest of Arden know your stuff!